Suman had little to look forward to in life. Married at fifteen and belonging to the Dalit Ahirwar community (lower caste), she was confined to her home and always veiled. She had very little education and even lesser money to escape the vicious cycle of poverty. She reached her breaking point when she was unable to get medical treatment for her child’s bleeding ear. Around this time, a Community Resource Person visited her to discuss the benefits of joining an SHG and saving little by little. Reluctant at first, Suman eventually joined and soon after underwent training and capacity building exercises. Her most important achievement was organising a rally to protest in Bundelkhand against the practice of forbidding lower castes to wear ‘chappal’ (sandals) in front of upper caste houses. 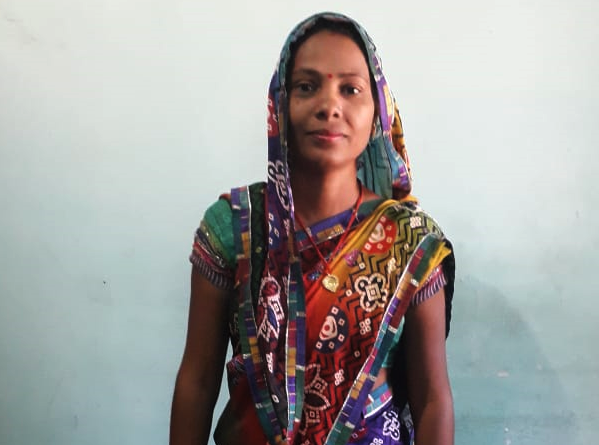 Although she faced enormous resistance from the community and even disciplinary action from the Panchayat (local government), she continued to challenge humiliating and discriminatory traditions and later gained supported from 5,000 of her SHG sister. Following the rally, Suman went on to become an ASHA and also work for MGNREGA. Today, she is committed to bringing other women under the fold of RGMVP to begin income-generating activities and advocate for social change. Her story is one of courage, against all odds, and demonstrates that where there is a will, there is a way.